Commentary: I got a kick out of Rio Durant in Solo. It's the sort of thing we should be getting more of - weird, colorful aliens with amusing celebrity voices. He answered the question "What if Rocket Raccoon were nicer, had four arms, and also dead?" 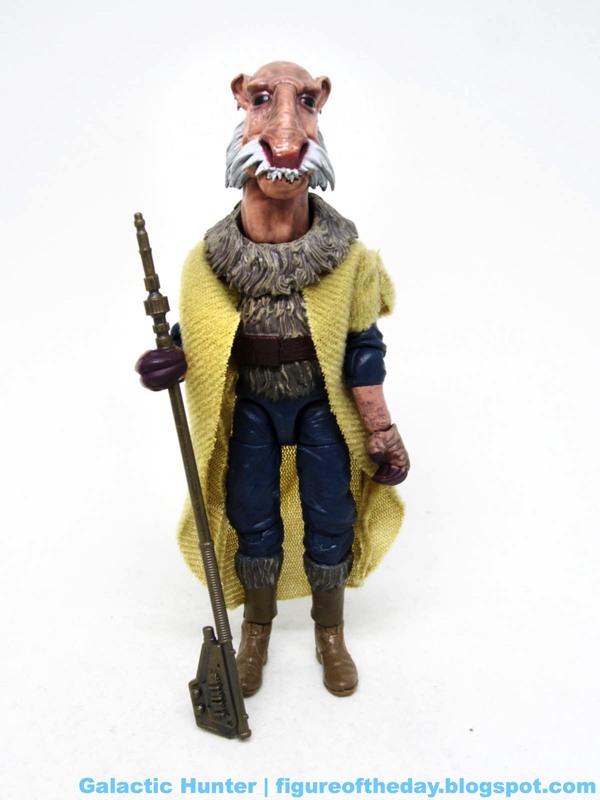 In terms of the movie he wasn't nearly as funny, but the toy offered a lot more for basically the same price. 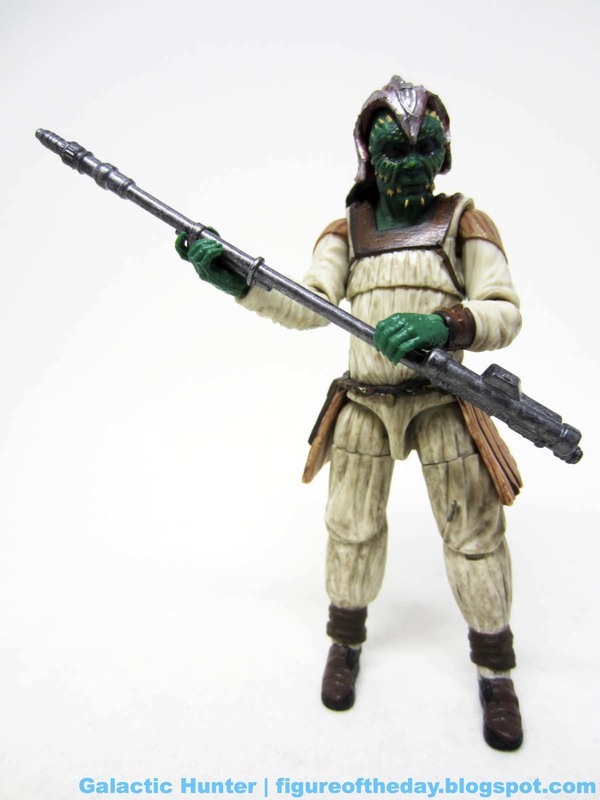 Having to jam in a lot more parts and pieces costs money, so even though this figure is a smidgen smaller it probably cost Hasbro just as much (or more) to make than a regular-sized figure. It's OK. A figure at this size and price point has higher expectations. 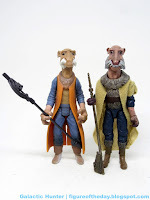 Hasbro's $6-$8 6-inch cheap figures are pretty good no matter what - you get a few joints and some paint, and they're exciting. At $20 or more, you want something really good. Rio has nearly 4 points of articulation - that's good! 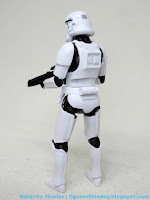 But they're a little bulky, and with a smaller figure having four shoulders jammed into the back means you get a slight feeling of bulk back there. The ankles are impressive, as they not only rock but swivel just below the pant leg and also have that front-and-back motion everybody loves. 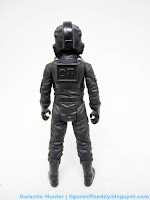 He even has removable goggles - they can't easily cover his eyes, but it's something. I'd almost rather they be glued down, just so they don't fall off so easily, but that's me. Your mileage may vary. He has a big rifle that fits in his hands nicely, and a smaller pistol crammed in his white holster that's kind of a pain to get out. 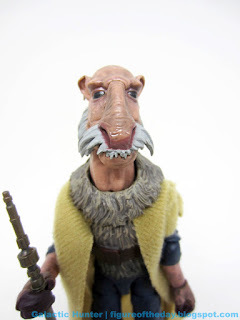 At first I didn't think it was going to come out, but you can move it around and carefully slide it out at some weird angle that's the kind of bad design we don't normally get from Hasbro. 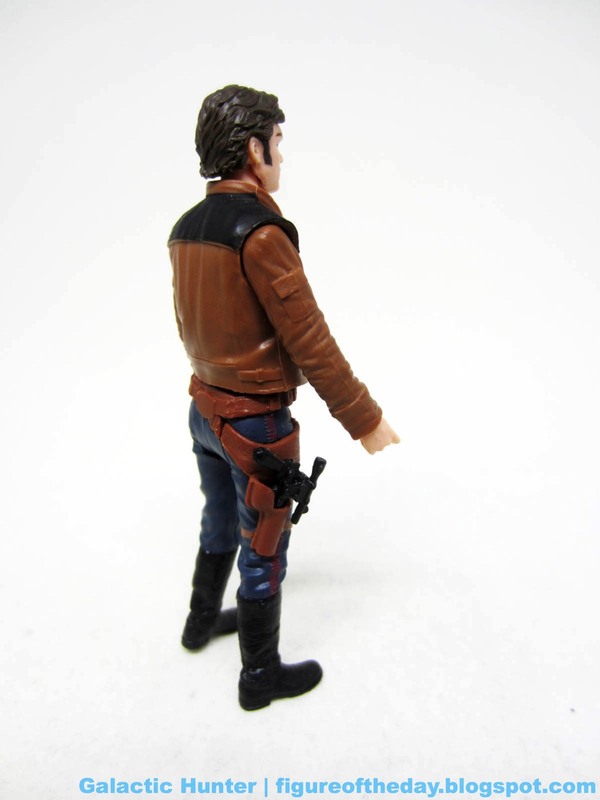 It's particularly surprising given just how well the holster itself is designed - Hasbro nailed it. There's a strap around his thigh that' actually part of the leg, and the pouch for the blaster is a separate, rubbery piece with a peg that fits in his thigh - allowing you maximum movement range with minimal bunching and hindering of hip movement. 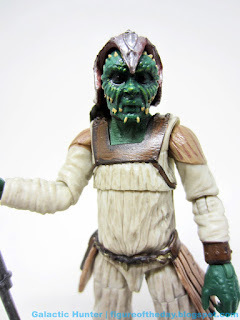 How did Hasbro simultaneously get it right and wrong so well in two opposing directions? The figure is pretty good - there's not a lot of stunning texture here, but it's a space monkey with four arms and the kind of blue space suit you thought you might get as a toy from Rogue One, but Hasbro let you down. 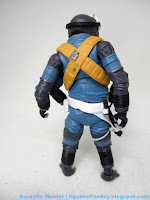 I like the orange bandolier and the retro computer stuff, and the weathering on the belt is no slouch either. Hasbro tried a lot of stuff here, and overall they did a good job with a weird design. 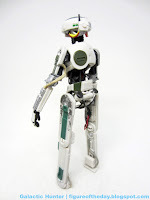 I'd like to see what they can do when they figure out a more clever way to cram in those shoulder joints, though. Recommended if you can find it - especially at (or slightly above) retail price. Yes, it's that interesting. It's not necessarily fun, but I wouldn't give mine up. Commentary: Her appearance was only slightly longer than her name. Val didn't get to do much prior to her on-screen death (if you didn't see last year's Solo yet, you shouldn't be reading this site), so it's kind of a miracle she got a figure - let alone a post-home-video-release one. Hasbro has had precious little time to look back, or continue a new movie line beyond a couple of waves. Seeing Solo get four waves, but an excellent final wave on top of that, was unthinkable. Val turned out well. I didn't realize she had glove joints at first, so with 7 points of articulation she's pretty good. 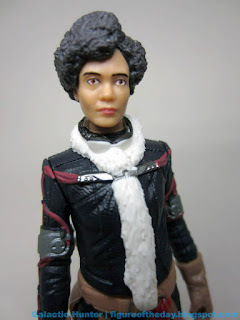 The hair is a separately molded piece, and the boots don't swivel - but there's a lot of good sculpted texture here, with a pretty great head sculpt and deco given it's the size of a peanut. She has a t-crotch and v-arms - an unusual combo, so her legs swing straight forward and her arms veer out a bit. It's not bad, as it helps with her aim. The legs are only able to swing forward a little bit, as the belt hangs over the thighs and prevents forward movement beyond about 50 degrees. Interestingly, it's not the rubbery cords that block the movement but the actual hard plastic belt that's part of the torso. 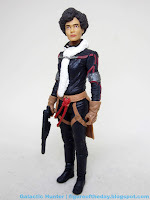 She has a cable running from her arm to her back, and is generally nicely done with nifty boots and a soft scarf and what I assume are some heating cables. 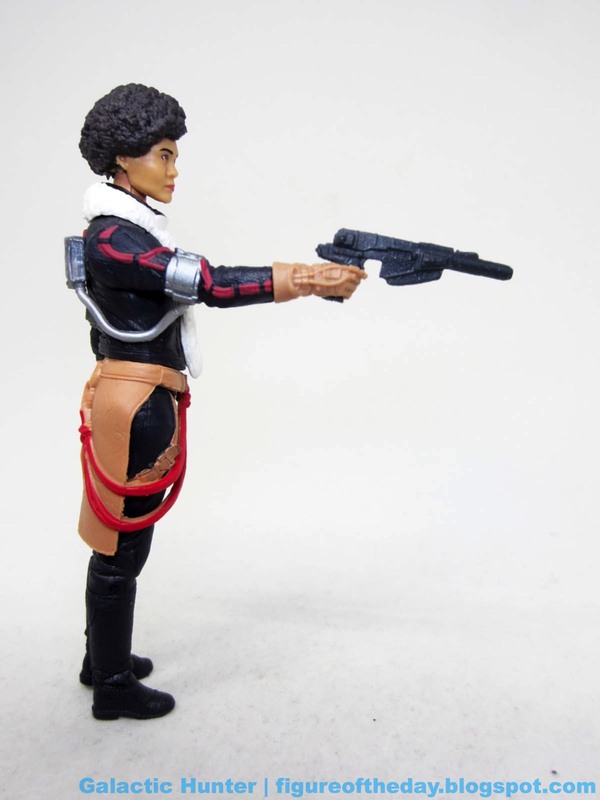 As the only 3 3/4-inch Val, it's nice that Hasbro gave us a good one. I wouldn't be surprised to see a super-articulated Val in the future, but for now? This is it. Go buy it. Force Link 2.0 Notes: "Here comes a world of hurt." "I can't hold them off on my own forever!" "Show me what else you've got." "You're asking for it." "Here come the enemy troops. Let's give them a good thumping." Blaster sounds. I believe it's a soundalike. 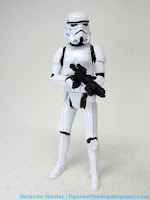 Galaxy of Adventures Canister Figure (also "Story in a Box"
Commentary: Not too long ago I was saying that I wanted this Stormtrooper to exist - check out Stormtrooper Squad Leader [FOTD #2,533]. It's just what I wanted! But it's a lot more expensive. Is it worth $10 for a figure without the sound chip and minus an accessory, but with an added comic? 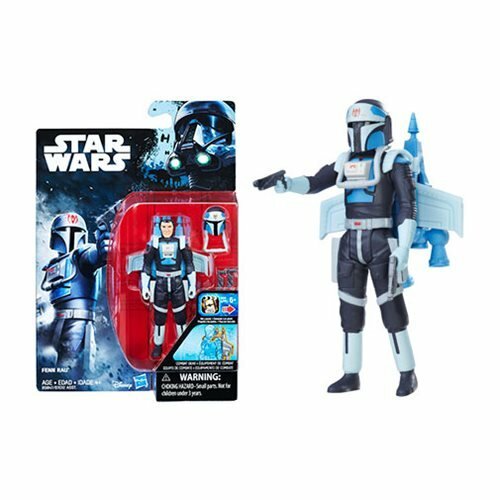 Target's 6-pack was a $44.99 wonder - you got 6 figures which, as of last year, were going for about $7.99 per carded figure. It was a good deal per-figure, with a couple of nifty exclusives and army builders to make it a worthwhile and exciting purchase. 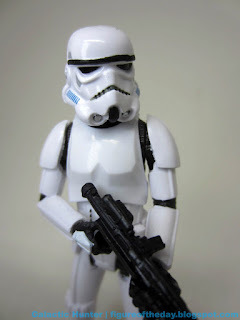 Hasbro plained-up the Stormtrooper by leaving the Disney-era Empire blaster (note the added greebles) but removed the pauldron, giving you one of the finest, shiniest, best-sculpted Stormtroopers ever produced in this size. That's good! It has 7 points of articulation. 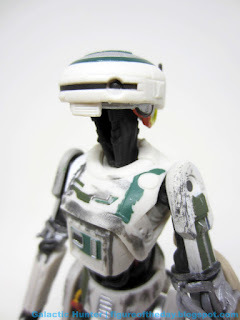 Most of the details are painted in - check out that helmet! 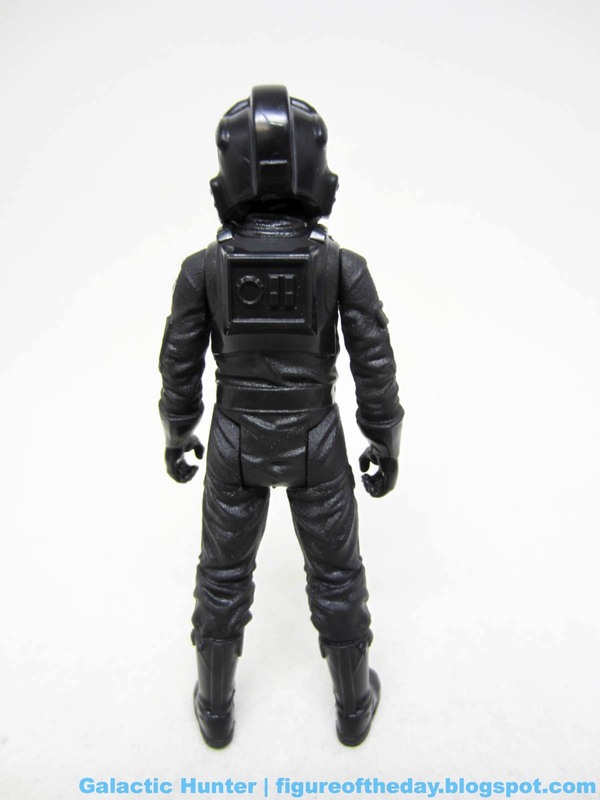 The boots lack painted soles, but you get the important landmarks on the helmet and chest. It's tall, it's skinny. 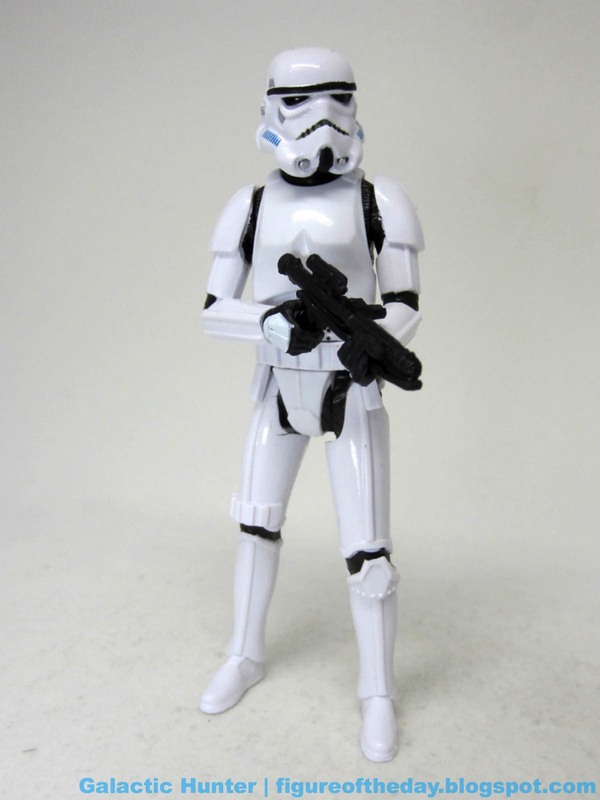 While there's no holster, you'll probably want to have the trooper aiming the blaster for some sort of diorama display anyway. The comic has artwork that's OK with dialogue mostly taken straight from the script. It has a backdrop of the Death Star. I'd say it's a waste of pennies, and it adds to the cost while not improving the product in any long-term meaningful way. Had Hasbro included a product catalog in the back cover I'd be excited. If it didn't say the Stormtrooper appeared in the sequel series and forgot to mention Solo - which, c'mon, don't make me be a pedant here - the bio inside would be more welcome. I'm not mad, just disappointed. 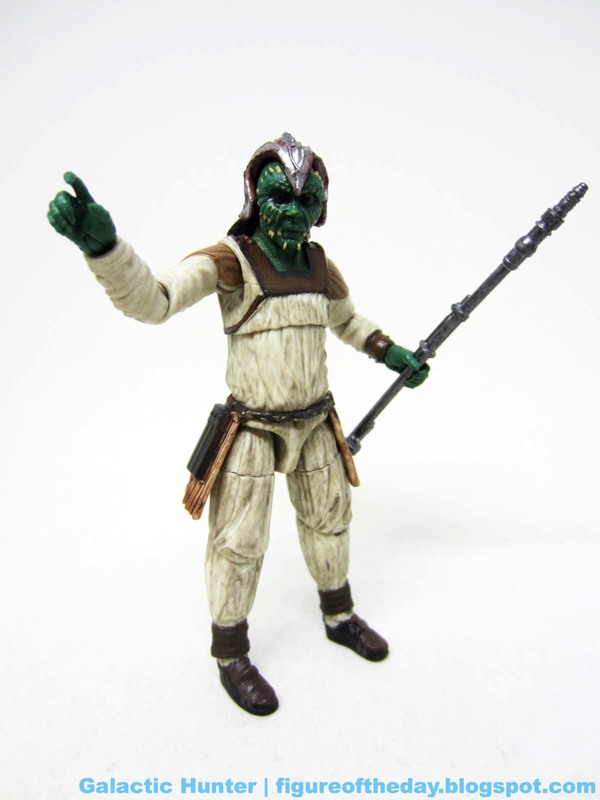 I like this figure a lot - if price isn't an issue, get several. If it is an issue, it's probably worth getting one. Hasbro's classic sculpts are getting really good these days. Commentary: I love L3-37. 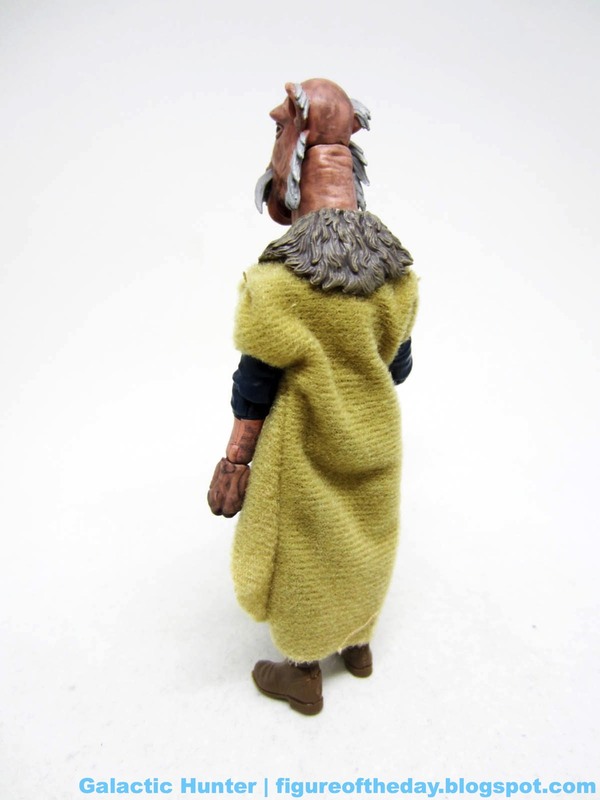 The design works, the character is fun, and the figure is pretty good - but fragile! This is the second one I've owned. The first had a torn wrist, so be careful if it doesn't turn right away. 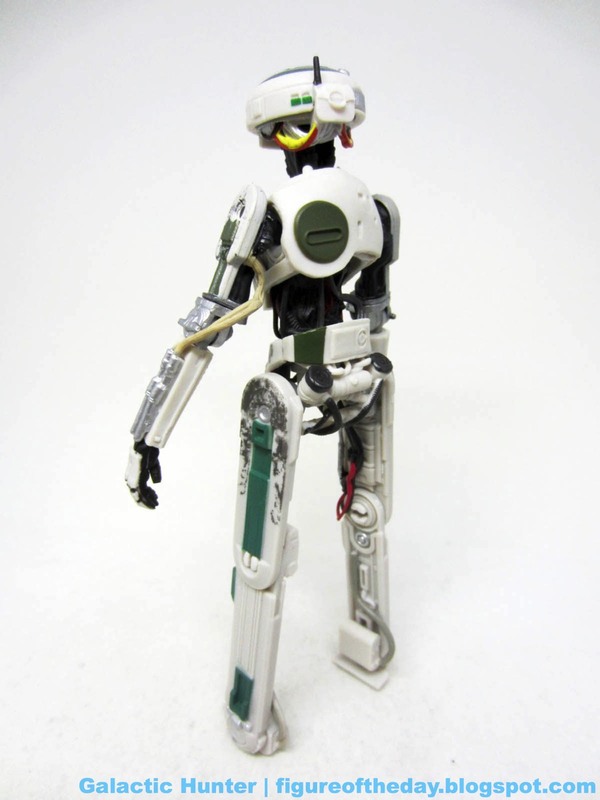 The droid is a mishmash of parts you might recognize, or find vaguely familiar. I love that she's more or less that beige box color of old computers, complete with a head that looks like an old floppy drive. 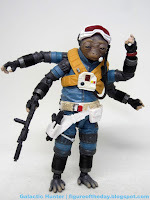 It's easy to recognize astromech elements on her arms and legs, plus tons of grime and exposed wiring that may remind you of the many Star Tours-specific figures sold at Disney parks over 15 years ago. She's a gem - she looks like old Star Wars through the prism of modern image compositing. The mocap robot worked so well on the big screen, and as an action figure I'm amazed she can stand. 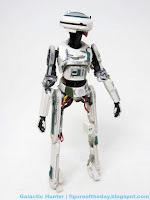 Due to the figure's construction, she only has 19 joints - the only double-joints are at the neck and the wrists, everything else is a single moving part. The shoulders, necks, and hips are ball-and-socket joints, the wrists bend and swivel, and the rest mostly bend or swivel. The feet are big enough to be sturdy, and the deco is so intense you'll understand why she doesn't have any gear. There are grimy stripes and smudges everywhere, giving off the vibe of an old computer that's destined to be cannibalized for parts soon. There's not much she can do other than be posed and look cool, but in this case it works. I'm so happy Hasbro held back on releasing the toy until after we all could see the movie, so we knew that there was a fun character here and more than just a cool-looking robot who would need us to write the history. (IG-88, looking at you.) Get yourself L3 if you can find one. Lando will thank you. Commentary: Hasbro doomed Force Link before it even came out - the first reader hit in September 2017, with this 2.0 upgrade shipping just 6 months later - with the ability to be updated with new sounds. 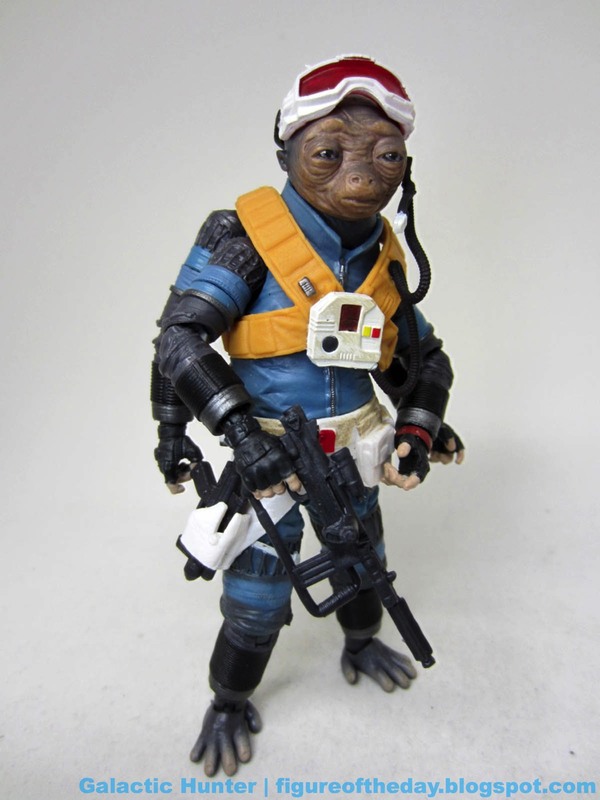 This idea should have been brilliant and magical, but the locked-down first release didn't meet sales expectations and by the time Han Solo shipped with this version - which had problems receiving an update, and has several figures still not working with it - it was dead. 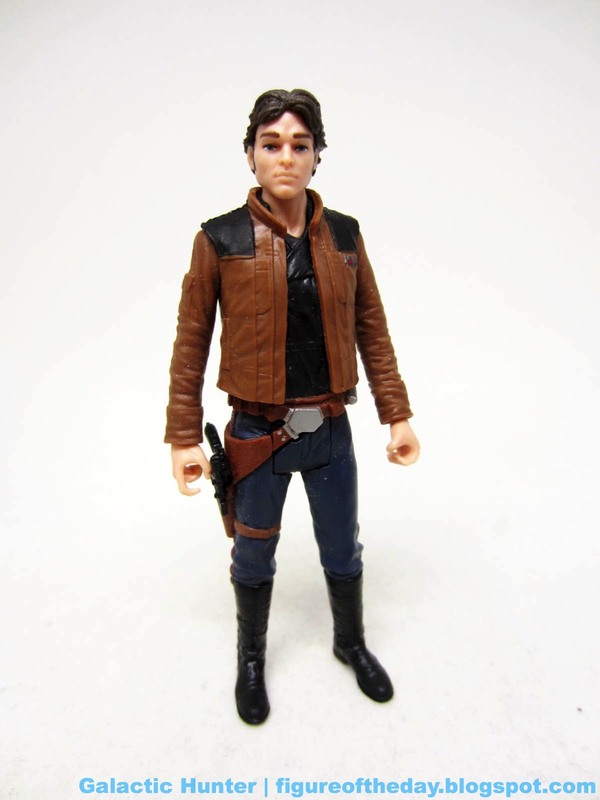 Also, this is the only plain/normal version of Han Solo in his main outfit for the movie that was sold at launch, and it was $30. 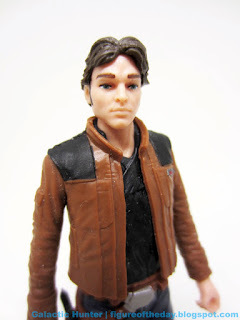 Other lesser costumes of Han during the theatrical release of Solo: A Star Wars Story were in a $29.99 Speeder and a $99.99 Millennium Falcon, so it wasn't exactly set up for success or affordability by the child target audience of this kind of figure. Han is interesting. Note I didn't say "amazing." They did a good job on the costume, with its dark brown shoulders, black shirt, and working holster, but 5 joints aren't terribly exciting. The fact a super-posable version would follow in the Fall at a lower price is not terribly wonderful, but this figure suffered from a head sculpt that doesn't seem to be based on the actor hired for the movie. 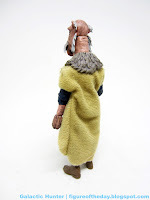 Due to the turmoil in production it's entirely possible this was by design - there are occasions were freelance sculptors have admitted, privately, to "genericing-up" a figure's likeness due to demands from the studio or because of what the license demanded. For example, McFarlane Toys had the clearance for Snake Plissken - but not Kurt Russel. But I digress - no one has actually confirmed this regarding Han Solo, but between this figure and Jakks' late Big Figs line, there's no way you can say that it was modeled after Alden Ehrenreich. It's "Young Han" but it ain't Alden. 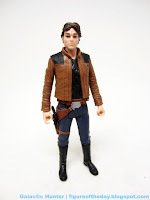 The Vintage Han Solo [FOTD #2,538] has more color, more painted detail and more articulation, but this one is still pretty charming. It's also notable in that his sound clips are the only Force Link 2.0 quotes built in to that Force Link band - the rest require an update from an app to even function, which is baffling. If you can get one of these now, update it as soon as you buy it because that app won't be around forever. I'd like to know if any hackers out there know how to update the Force Link band so fans can roll their own update with real movie quotes - but I digress. We're here to talk about the figure. It's OK. Get the Vintage one if it's cheaper, though. Force Link 2.0 Notes: "They call me Han Solo." "This better be worth it." "I don't run from a fight." "Hmm. I've got a really good feeling about this." "We've got company." "Blast 'em!" Blaster shots. 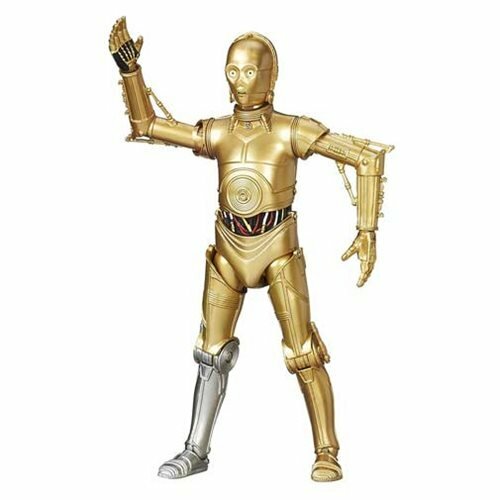 It's a soundalike doing a decent Han Solo impression. 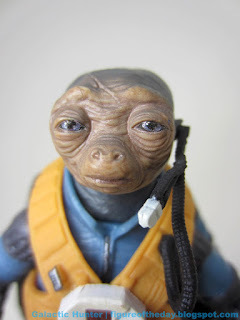 Collector's Notes: I got mine from Entertainment Earth. Walmarts blew this set out - in my journeys - for as little as $4 in the post-Christmas 2018 clearances. Image: Adam's photo lab. Note, this one was plucked out of a E0327 box. 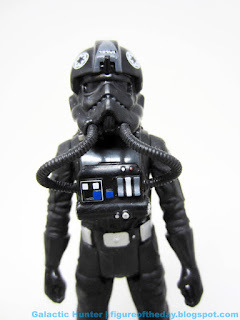 Commentary: Hasbro has given us a lot of versions of this figure, but I'm surprised to say that this TIE Fighter Pilot is significantly different from previous releases. 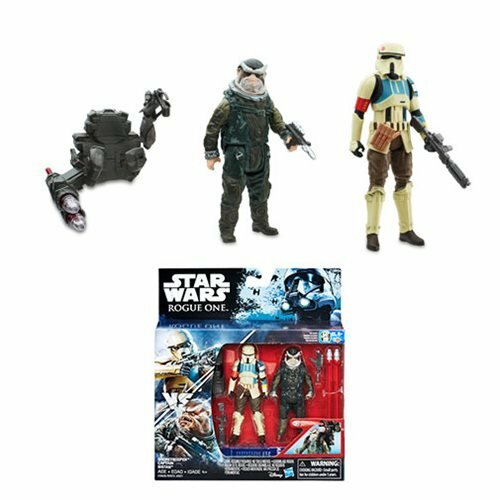 The Force Link 2.0 pilot - identical, so far as I can tell, in the Mimban gift set (Target) and the TIE Fighter Force Link 2.0 ship (hard-to-find retail release) - seems to share some elements with previous pilots, but Hasbro and the Toy Gods made some significant, distinctive changes here. Given how Hasbro used the same TIE Fighter Pilot mold with minor modifications for over a decade, I'm shocked. He still has 5 joints, and a lot of the folds and creases are similar to the TIE Striker pack-in pilot [FOTD #2,289]. The texture is surprisingly rich, with a wonderful finish and glossy boots. The instrument panel on the chest is decorated differently, as is the helmet - complete with aurebesh too small for me to read with the naked eye. What's particularly amazing is the belt and back of the armor. The belt has two silver compartments flanking the buckle, as opposed to what we usually get - a silver dot on the figure's right-hand side. 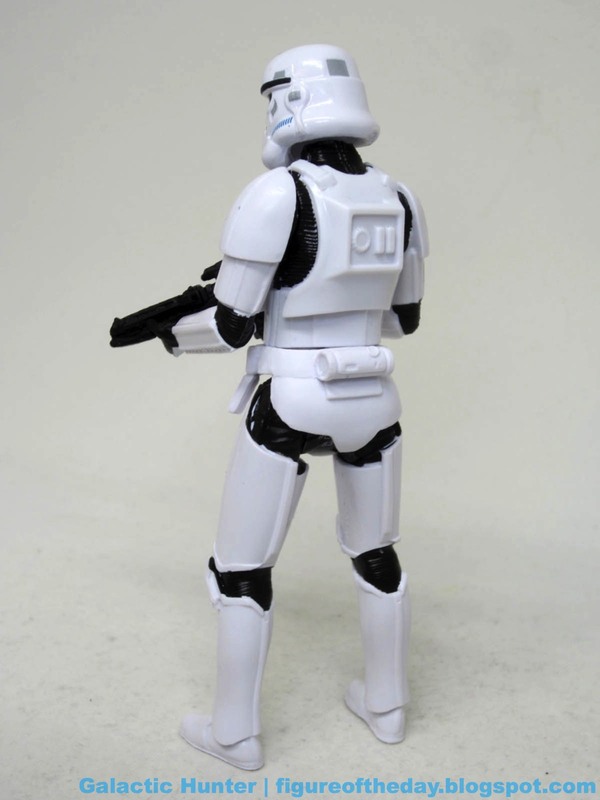 The back has the famous Stormtrooper "OII" markings, instead of the usual smooth armored plate. The figure has no problems standing, sitting, or piloting a ship with joints that move exactly as needed for such functions, plus there's a swell new-style Imperial Blaster included. Hasbro probably could have sold army builders these guys by the barrel, had they been sold individually Maybe we'll see some in an upcoming repack assortment. You have dozens of these by now, but each one has little changes - and this might be one of the most interesting modernized ones as it actually has some changes made to it. 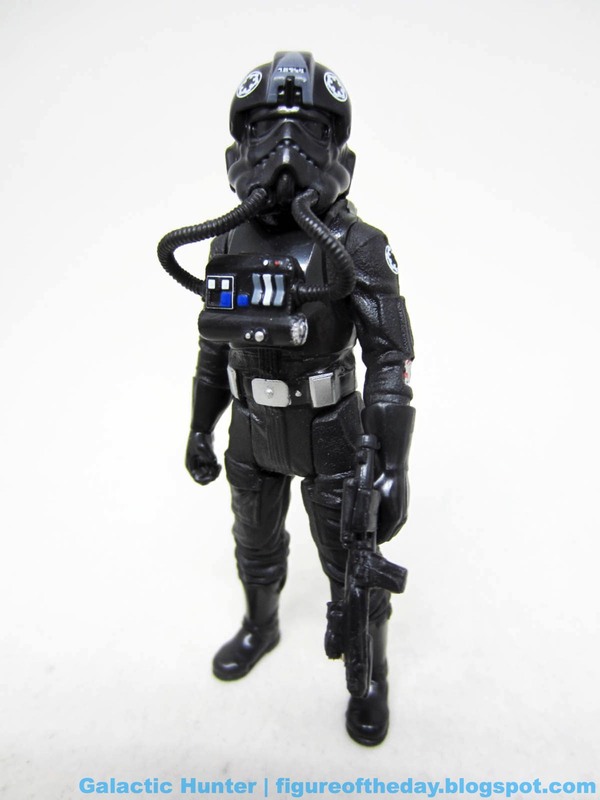 Get one or more if you can, mostly because it's a different stage of evolution for the Empire's most expendable flight crews. Force Link 2.0 Notes: "TIE on line, awaiting orders!" "Engaging a perimeter sweep." "I've got enemy reinforcements on my radar." "Agh, I'm taking heavy fire here!" Blaster sounds. 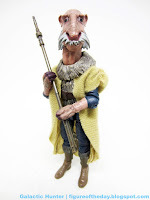 The voice is a good voice for toys - I'm assuming it's not from the movies, but Hasbro cast it well. Collector's Notes: I got my boxed set from Target. The TIE came from Entertainment Earth.